SNI was engaged by the leadership group of the Baltimore Ravens to develop a negotiation training program to help its sales and marketing staff manage through tough economic times. 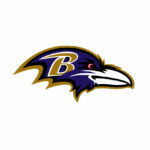 Prior to the program, the Ravens already had a well-established brand and a loyal customer base. The goal was to increase personal confidence, maintain selling margin integrity, and continue to promote the overall marketplace perception that the franchise is one of the sports industry’s leading organizations. Program participants included sales, marketing, and finance team management and team members. SNI designed and delivered a highly customized two-day sales training program that provided participants with a systematic negotiation process along with tools and habits that anchored the core learning principles. Several real-time deals were then selected for additional coaching guidance and strategic preparation planning in order to maximize the impact and benefits of utilizing the skills taught in the training program. Additional reinforcement was provided via several online platforms. Advanced training was scheduled for the following year and SNI continues to provide Real Deal consulting on an ongoing basis. At the time of the program there were several six figure deals the franchise considered to be major accounts and at high risk. Although the deals were in process when SNI became involved and precisely quantifying the dollar effect was extremely difficult, the sales teams reported a significant impact in their ability to not only retain these accounts, but also increase the overall financial gain and partnership strength with those customers.